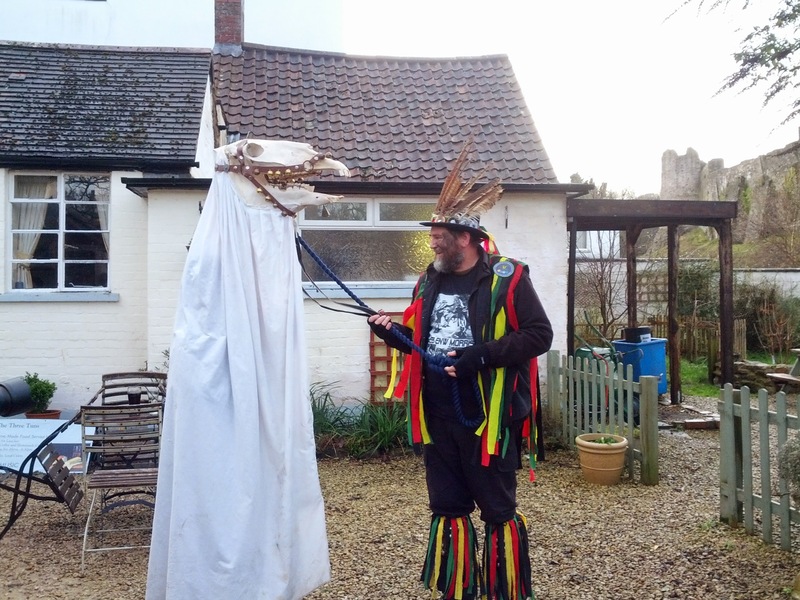 I’m a little behind in posting about my adventures. 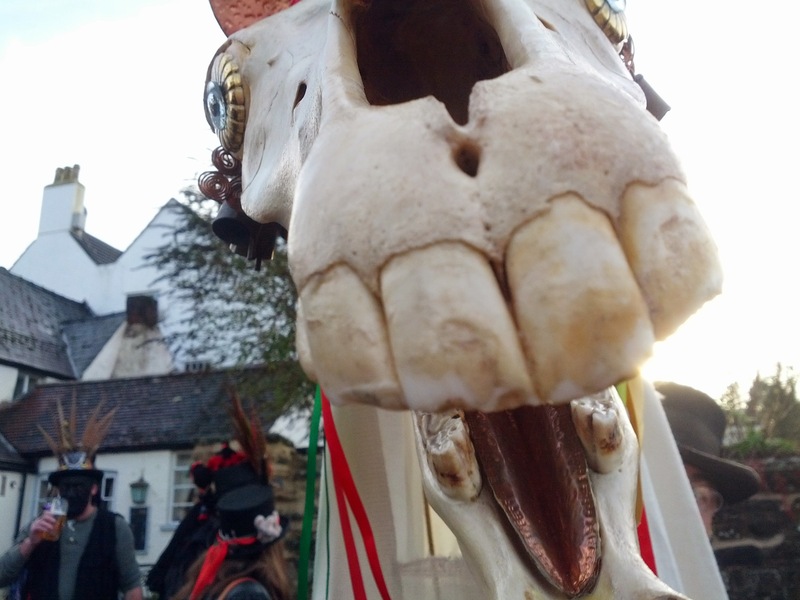 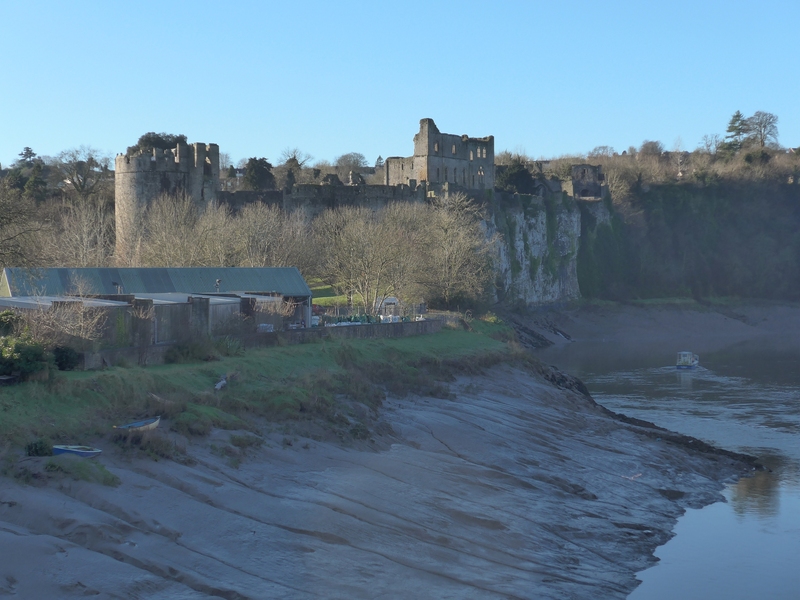 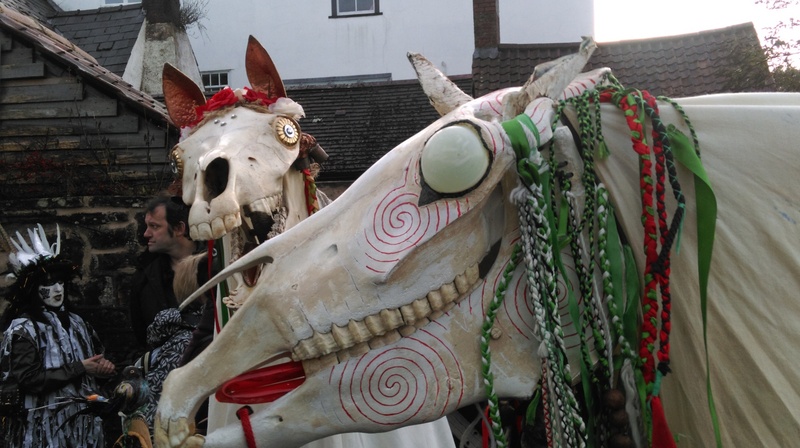 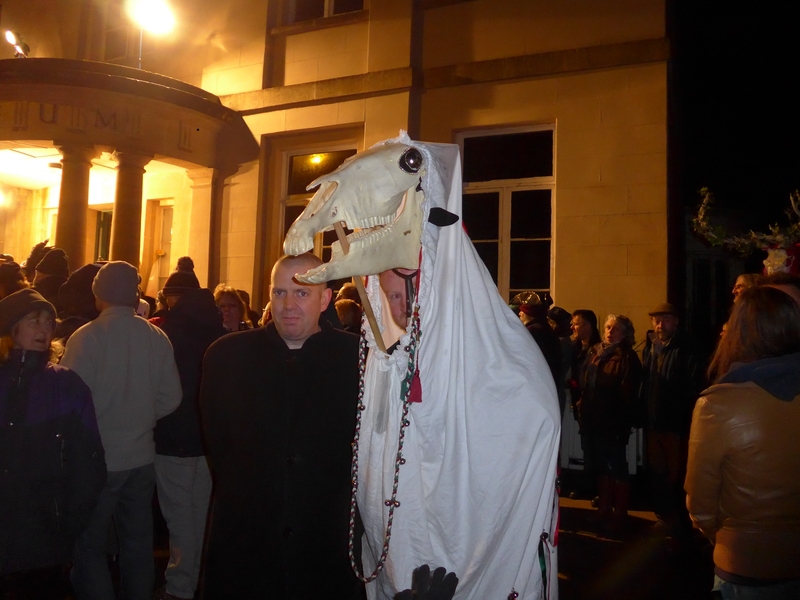 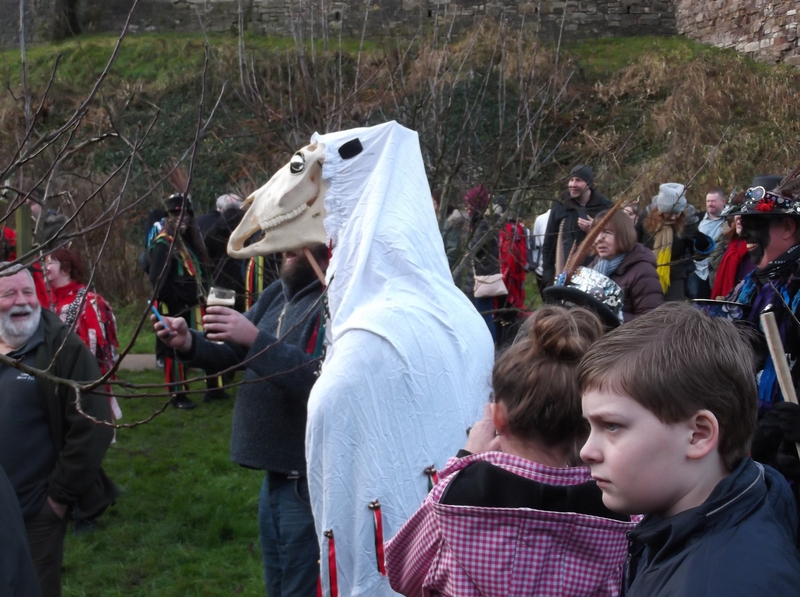 In the middle of January, I went to the Chepstow Wassail Mari Lwyd in Wales. 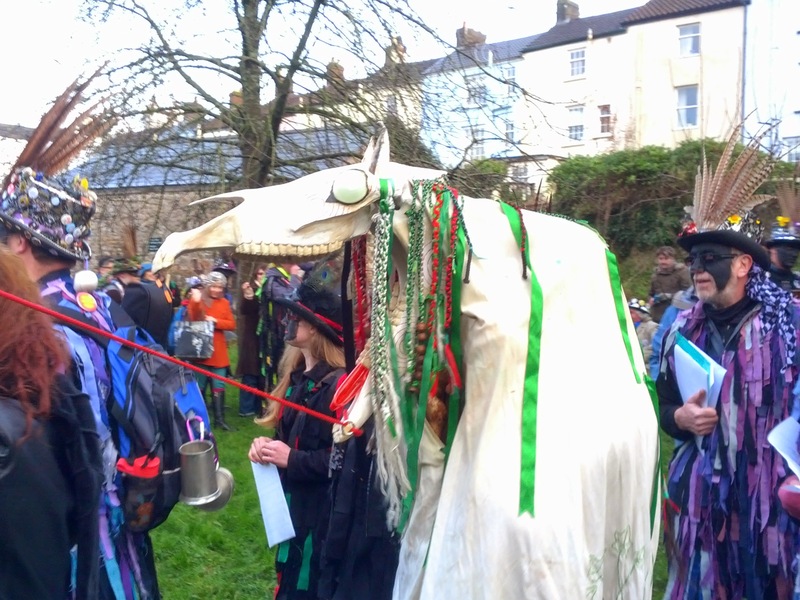 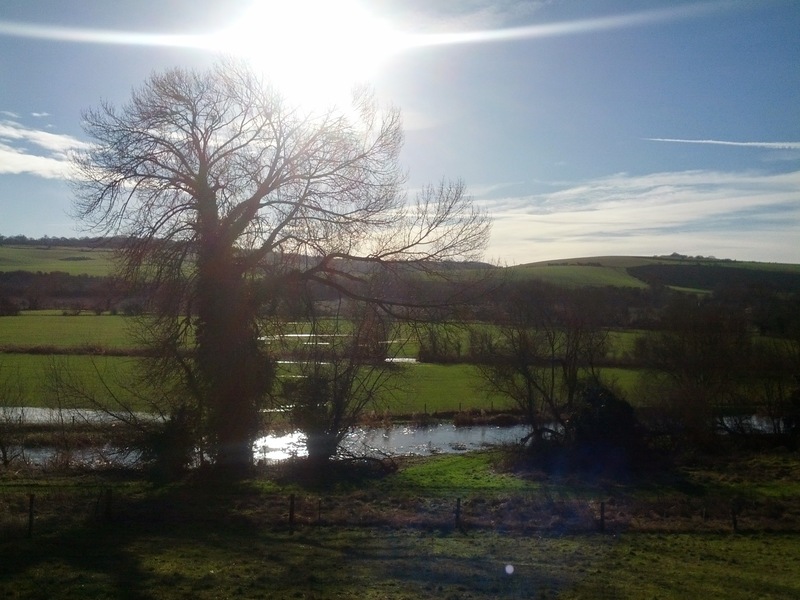 This annual event features morris dancing, a wassail, and what wikipedia describes as people “disguised as a horse”. 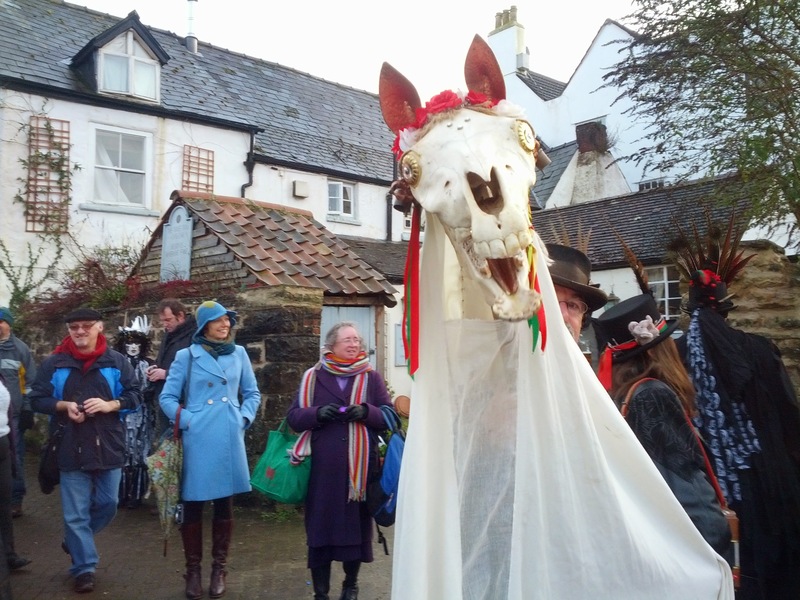 This disguise involves a decorated horse’s skull and a sheet, along with a lower jaw that can snap at passers-by. 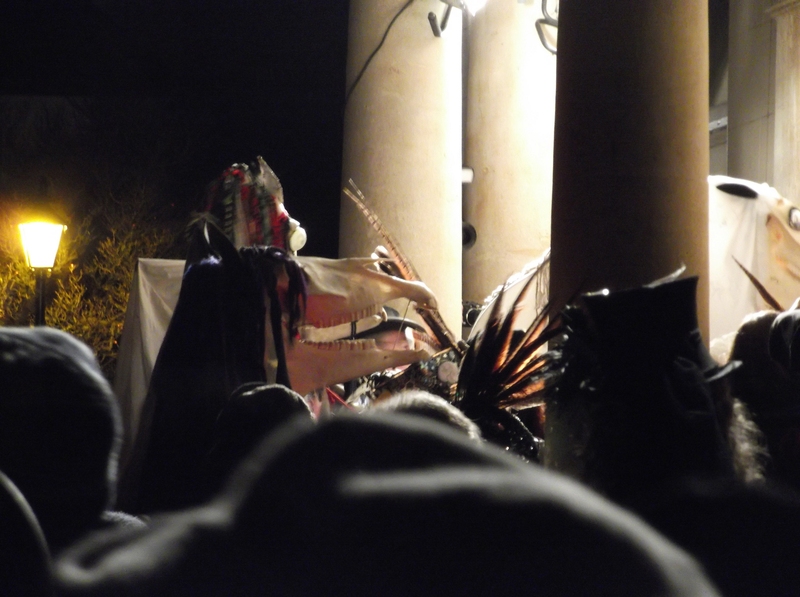 I saw the event in the Rites and Rituals film and had to go. 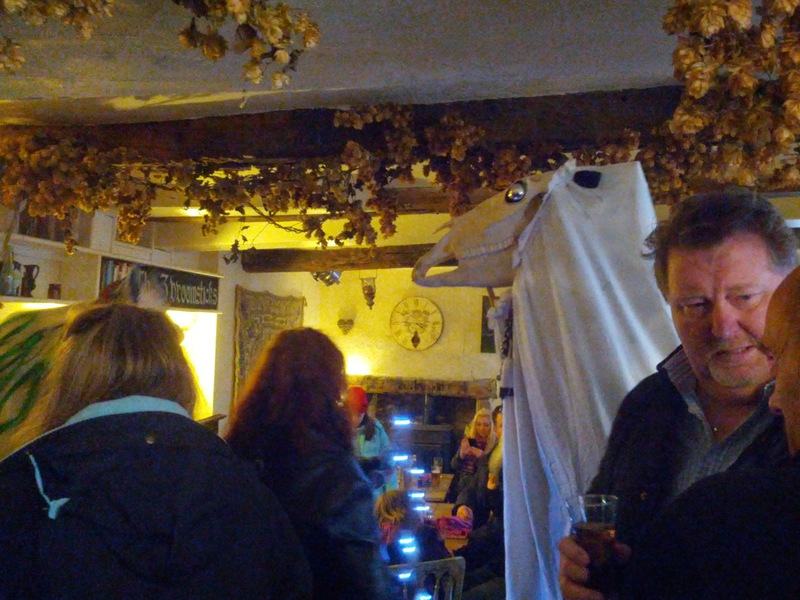 It was a good trip and the Mari Lwyds looked amazing.